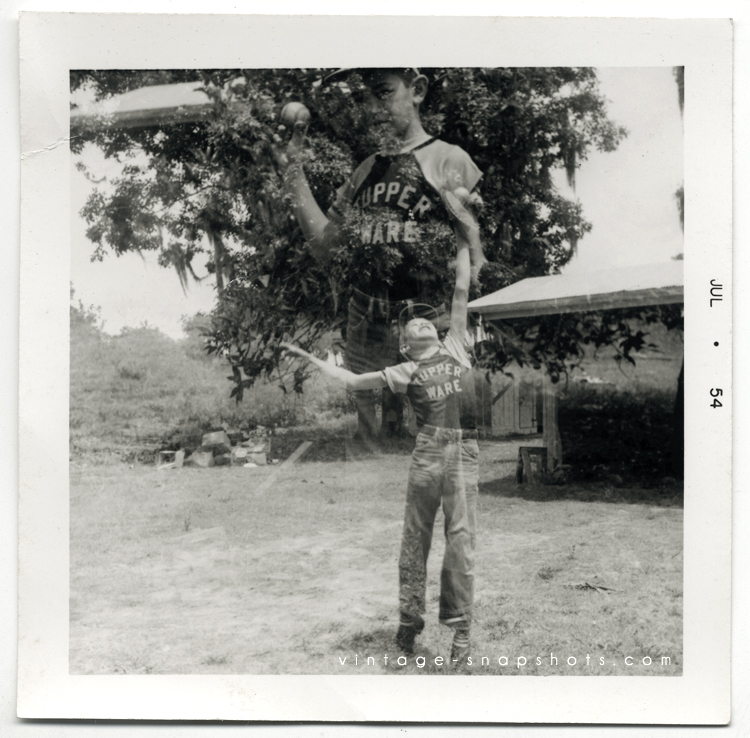 A double exposure is not an uncommon thing to run across in old photos. I suppose you can do them with a digital camera(?) – and of course they can be made in Photoshop with ease. But nothing compares to the magic of an accidental one. So as film is used less and less, I guess double exposures could be considered a real endangered species. This is one I really like.